The Adept should be armed by the Wand, the Cup, The Dagger and the Pantacle, the Magick Sword, the Lamp, Bell and the Holy Oil of Abramelin. In the East, upon the Altar of Incense, burn incense of Mars in the Magick Fire (tobacco and black pepper, with a little cayenne). The Magick Circle should be inscribed in scarlet, and drawn therein should be a five pointed star, with its single point to the East. In the direction which Mars will occupy in the Heavens, which is preferably when Mars is in His Zenith, and twenty-five inches outside the Magick Circle, a red Triangle should be drawn, with its single point towards the Planet Mars. The Names ALHIM GIBOR, ADONAI, KAMAEL, the SERAPHIM are written around the perimeter of the Magick Circle and the Names of the Godhead and the Archangel and Angel of Geburah are written upon the three sides of the Triangle also. Within this triangle is the Name and the Sigil of the Spirit Bartzabel. At the points of the five pointed star around the circumference of the Magick Circle shall be five red candles or lanterns, and upon the sigil of the spirit in the Triangle, should be a censer wherein shall be burnt copious amounts of the incense of Mars. The previously prepared Talisman with the Divine Names of Geburah written around the sigil of Bartzabel upon the obverse side and the Seal of Mars and the Names of Geburah upon the reverse is bound and veiled and placed to the North-West. The use of a Bloody Sacrifice of a relevant nature is also to be considered for the Magick Triangle, the choice being determined by the Adepts abilities and predelections in these matters. The Divine Names of Geburah, Might, also known as Gedulah, Magnificence and Glory, and Pachad, Terror or Fear, are ALHIM GIBOR, the ALHIM Mighty and Terrible, and the Sphere of Geburah is called Madim, meaning violent rushing force. The Archangel of Geburah is Kamael, the Prince of Strength and Courage, and the order of Angels are known as the Seraphim, or the Flaming Ones. The Angel of Mars is Zamael and the Intelligence, or good spirit, is Graphiel and the spirit or daemon of Mars is Bartzabel. The Adept bathes and robes himself, enters the Temple and carefully purifies the Magick Circle with the Lustral Waters. He then performs The Lesser and Greater Banishing Rituals of the Pentagrams, and follows this with The Opening of the Temple by the Watchtowers, standing in the centre of the Magick Circle, facing West, with the Magick Sword in the right hand, pointing toward the Western Horizon, and say; "Hekas! Hekas! Este Bebeloi! ", before replacing the Magick Sword upon the Altar. Take the Magick Lamp and go to the South, raise the Magick Lamp overhead in the right hand, and circumambulate slowly deosil, saying; "And when, after all the Phantoms have vanished, thou shalt see that Holy and Formless Fire, that Fire which darts and flashes through the hidden depths of the Universe, Hear thou the Voice of Fire!". Upon returning to the South, make the invoking Pentagram of Fire towards the South, with the Magick Lamp or Wand, with the Elemental Emblem of Fire at its centre; before invoking; "YHVH TzABOATh! ALHIM! I invoke the Archangel of the South, Michael! O Ye watchtower of the Realms of Fire! ", and then replace the Magick Wand and go to the West, take the Magick Cup in the left hand and sprinkle Water three times to the West, before circumambulating, the Magick Cup now raised in the right hand, saying; "So therefore first the Priest who governs the works of Fire must sprinkle with the Lustral Water of the Loud Resounding Sea!". Returning to the West, the magician inscribes the invoking Pentagram of Water with the Magick Cup, making the Elemental Emblem of Water at its centre, before invoking; "ALHIM TzABOATh! AL! I invoke the Archangel of the West, Gabriel! O Ye Watchtower of the Realms of Water!" replace the Magick Cup and go to the East. Take the incense in the right hand and make three crosses with it to the Eastward, and then circumambulate with it, carrying the point and saying; "Such a Fire exists, extending through the rushings of Air, or even a Fire formless whence comes the image of a Voice, or even a flashing light, abounding, revolving, whirling forth, crying aloud." Upon returning to the East, replace the incense and take up the Dagger in the right hand, and inscribe with it the invoking Air Pentagram and its Elemental Emblem as before, saying; "Shaddai Al Chai! YHVH! I invoke the Archangel of the East, Raphael! O Ye Watchtower of the Realms of Air!" replace the Magick Dagger and then moves deosil to the North. Taking the Magick Pantacle in his left hand he throws three pinches of salt to the North, then raising the Pantacle in his right hand, he circumambulates with it, saying; "Stoop not to the darkly splendid world wherein continually lies a fathomless depth and Hades wrapped in gloom, delighting in unintelligible images, precipitous, winding, a black ever-rolling Abyss, ever espousing a body, unluminous, formless and void." Upon reaching the North again, the magician throws three more pinches of salt to the North, and then makes the invoking Earth Pentagram and its Elemental emblem with the Magick Disk, invoking; "Adonai Melekh! Adonai Ha-Aretz! I invoke the Archangel of the North, Auriel! O Ye Watchtower of the Realms of Earth!" replace the Magick Pantacle and move to the centre of the Magick Circle, taking the incense in the right hand, inscribe the Active and Passive invoking Pentagrams of Spirit and the Elemental emblem thereof, toward the East, invoking; "YHVH Aloah VeDaath! AHIH! Yeheshuah! I invoke the Watchtowers who are set about the Quarters to guard the boundaries of the Universe!" give the Sign of the Rending of the Veil before continuing; "I invoke Ye, Ye Angels of the Celestial Spheres whos dwelling is in the invisible! O Ye guardians of the Gates of the Universe, be also the guardians of this Mystic Sphere! Keep far removed the evil and the unbalanced. Strengthen and inspire me so that I may preserve unsullied this abode of the mysteries of the Eternal Gods. Let my Sphere be pure and holy so that I may enter in and become a partaker of the secrets of the Light Divine." Go to the East, take the Magick Lamp in the right hand and circumambulate three times deosil, making the Sign of Horus at the passing of the East, and answering this with the Sign of Harpocrates, finally ending in the East to make the adorations; "Holy art Thou, Lord of the Universe! Holy art Thou, Whom nature hath not formed! Holy art Thou, Vast and Mighty One! Lord of the Light and of the Darkness!" remembering to give the Sign of the Enterer at the end of the first three lines, and the Sign of Silence at the end of the last line. "Power of Godhead! Force and Fire of the Gods! Eternal Child God! Horus of the Two Horizons, Thee! Thee! I invoke! O Thou, who art begotten of Osiris and Isis, Thee! Thee! I invoke! O Thou, Heru-pa-Kraath! Who was the Avenger of Osiris, Thee! Thee! I invoke! O Thou who has His Finger ever in His Mouth, Thee! Thee! I invoke! O Thou, Divine Hawk between the Pillars of the East, Guardian of the West, Thee! Thee! I invoke! O Thou! Horus of the Two Eyes! Thee! Thee! I invoke! O Thou! Sacred Sphynx! Thee! Thee! I invoke! O Thou! Sacred Eye of the Golden Hawk! Thee! Thee! I invoke! Behold! I am He who comes forth advancing, whose Name is unknown. I am Yesterday! Seer of millions of years is my Name! I pass; I pass along the Paths of the Divine Celestial Judges. I feel and have the Power to Perceive. I am the Suns Eye, my seat is on My Throne, and I sit thereon within the Eye! I am Horus who passes through millions of years. I have governed my Throne and I rule it by the Words of My Mouth and whether I speak or whether I Keep Silence I keep the balance even. Things are not evil or hostile unto me nor are they against me. I open the door of heaven, I govern My Throne, I give new birth to myself on this Day, I am not the Child who trod the Path of Yesterday but I am Today for untold nations. It is I who makes you strong for millions of years. I am He who cannot be Known, the Gods of the rose bright countenances are with me. I am Horus the Crowned and conquering Child King! Behold! I am the plant which comes forth from Nu! And my mother is Nut. Hail! O my Creator! I am He who has no Power to Walk! I am the Great Knot within Yesterday! My Power is within My Hand! I am not known but I am He who Knows you! I cannot be held in the hand but I am He who can hold you in His Hand! Hail O Egg! Hail O Egg! I am Horus who lives for millions of years, whose flame lights upon your faces and blazes in your hearts. Come forth unto me, O ALHIM GIBOR! I invoke you and beseech that you dispatch the Great Archangel Kamael to my aid in this work of Magick Art. Kamael! I call you and invoke you to direct the Angels, the Seraphim, to send their Angel Zamael, to attend this Magick Circle. Zamael, Angel of Mars, I call you and invoke you to send the Intelligence of Madim, Graphiel, who I shall conjure with authority to compel the Spirit Bartzabel to prepare to manifest himself inside this Magick Triangle, visibly and sensibly, in form not displeasing to my perceptions, promptly and obediently, when I conjure him. Hear me and make all spirits subject unto me, so that every spirit of the firmament and of the ether, upon the earth and under the earth, on dry land, and in the water; of whirling air and of rushing fire, and every spell and scourge of God the Eternal, may be obedient unto me!" Now the Adept must resupply the censer in the Magick Triangle, copiously enough to sustain the manifestation, and then he takes the Talisman through the final consecration, making the conjuration; "In the Great Names of the God of Geburah, ALHIM GIBOR, I call the Spirit Bartzabel to manifest himself in power and in presence, in a pleasing form, before me in the Magick Triangle placed without this Magick Circle. I command you Bartzabel by all of the Names of the God whom you serve, for the spirit of that ineffable Godhead is within me and above me fames the Crown of Adonai and my feet are planted in the Sphere of Madim." Now the veil is removed from the Talisman and KHABS AM PEKHT KONX OM PAX Light in Extension is recited over it as before shown, and then, standing between the Pillars of Hermes and of Solomon with the Talisman in the left hand, the Magick Sword in the right, say the long conjuration; "Kamael, Great Archangel of the Sphere of Mars, in the Names of Adonai and of ALHIM GIBOR, I invoke you to send the Angel Zamael of the Seraphim. Zamael, in the Divine Name of Madim and with the authority of Kamael, I conjure you to send the Spirit Bartzabel. Cause him to manifest before me in a form material and visible, without this Magick Circle! Bartzabel! By the Divine Names whom thou serve, ALHIM GIBOR, the Might and Power of Godhead and the Lord Adonai, I conjure you potently to appear now. By the Names of the Seraphim, the Flaming Ones of Madim, I conjure Bartzabel to attend this Magick Rite as I have ordered him, by the Name of his Angel Zamael and by the conjuration of the Intelligence of Mars, the Angel Graphiel, I command Bartzabel to manifest visibly in the Magick Triangle of Evocation without this Magick Circle!" place the Sigil upon the ground between the Pillars of Hermes and of Solomon, make the Sign of the Enterer upon it, and then protect with the Sign of Silence. 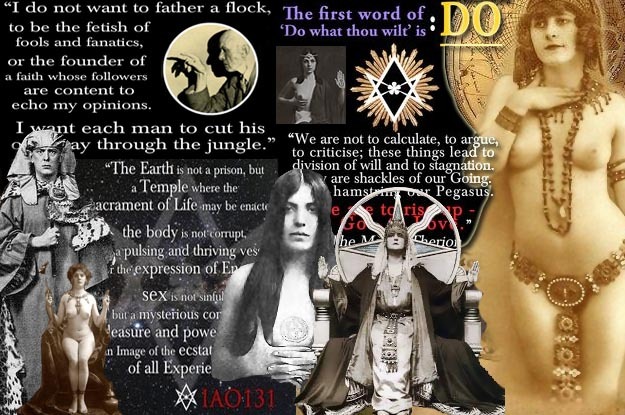 The Spirit should begin to manifest in the Magick Triangle; if not then recite the Long Conjuration again, until it has been said three times, whereupon the Talisman should be charged again by the Signs of Horus and of Harpocrates. If the Spirit still fails to appear, repeat the Primary Invocation and then say the Conjuration to the Reluctant Spirit; "I evoke you and command you, O Spirit of Mars, Bartzabel, by all the resplendent and potent names of the Great and unparalleled ALHIM GIBOR, and by Adonai, Our Lord, to come here to this place instantly! Come forth from whichever place you are now, wherever in all the worlds that might be, and give answer to my questions, answers that are true and reasonable. Come in visible form and speak pleasantly that I may understand the words! I conjure you, and you are evoked O Bartzabel, by all of the Names which have been spoken! And by the Seven Secret Names wherewith Solomon the King, son of David, did compel you and your fellows into the brazen vessel. By the Name Adonai, Prerai, YHVH, Anexhexton, Inessesensatoal, Pathumaton and Itemon! I evoke you to come visibly, before this Magick Circle, obedient in every way to my desires. If you do not come, or disobey in any way, I will curse you, and cause you to be stripped of your powers and consigned to the Bottomless Pit, where you shall remain until the end of time. I will cause you to be bound to the Waters of everlasting Flame, Fire and Brimstone! Come and appear before this magick circle to obey me utterly! Otherwise you are cursed in the Name of the Most Powerful Lord! In the Name AHIH! In the Name ALHIM and in the Name of the Lord Adonai, I command you to appear now in this Magick Triangle of Evocation without this consecrated Circle of Magick Art!" This process may continue, the curses gradually increasing in intensity and as a final resort, the Sigil of the Daemon may be burnt in the Magick Fire with pungent perfumes, averse to the nature of the Spirit, such as Asafoetida, whereupon the reluctant spirit is sure to appear, if not, abandon the evocation, make the Most Potent Banishings, and wait at least one hour before leaving the Magick Circle, after saying the General License to Depart, specifying that this license is only valid until the spirit will return to obey the Adept. Otherwise, if the spirit begins to manifest, consecrate the Magick Circle and the Sigil of the Daemon with Water and Fire, then remove the cord binding the Sigil, hold the Talisman aloft and say; "By ALHIM GIBOR and by Adonai the Lord, I conjure upon you the power of perfect manifestation in visible appearance!" strike the Sigil with the flat of the Magick Sword and then, holding the Talisman overhead, circumambulate, finally placing the Talisman toward the direction of the Magick Triangle, return to the East and with the Magick Sword pointed squarely at the Magick Triangle, conjure the spirit to perfect visible manifestation; "Behold! Great and Mighty Spirit Bartzabel, that I have conjured you here at this time to demand of you certain obligations which you shall swear to fulfil in the Name of Your Lord ALHIM GIBOR. In order for this to proceed, you must first appear sensibly before me in the Magick Triangle of Evocation, in a clear and pleasing form, and communicating intelligibly in an harmonious voice, showing total obedience to me, for the force of ALHIM GIBOR is in me!" After this, repeat the Primary Invocation, twice if necessary, and with the blade of the Magick Sword, attend to the incense in the Magick Triangle, being certain to stay entirely within the confines of the Magick Circle. Now the Adept announces that he has successfully evoked the Spirit Bartzabel, in the Divine Names which the Spirit must obey, and then he turns to the Magick Triangle and addresses the Spirit. In this he should be polite yet firm, using the curses only as a last resort and causing the spirit to comply with the use of Divine and Angelic Names from the first, and being protected by these Names, the Adept reaches ONLY the Magick Sword into the Magick Triangle of Evocation, being careful not to leave the confines of the Magick Circle personally, and upon the Magick Sword, the Spirit is made to swear an Oath of Obligation to the Magician in the Divine Names which he serves. When the object of the Ceremony is achieved, the Spirit is Licensed to Depart, with a reward of the burning of sweet perfumes and the Blessing of the invoked Godhead. After this, the Adept must perform all of the potent Banishings, especially The Greater Banishing Ritual of the Hexagram of Mars. Even then, until he is certain that the Spirit has departed, the magician should remain within the Magick Circle.